I was on some family business in Germany staying in the quaint town of Erfurt that was right in the centre of Germany. 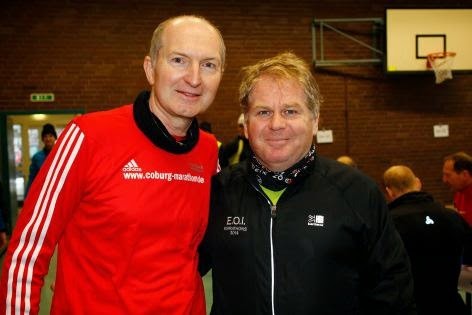 I had noticed that about 1hr south on the Sunday was to be held the 11th running of the Coburg Winter marathon. 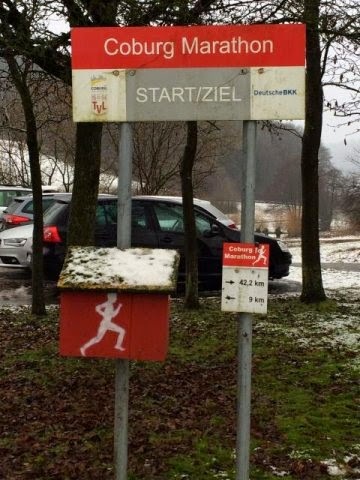 This was the first designated marathon route in Germany and is permanently marked (including Kilometers markers every 5K) Being the winter in Germany the weather was a lottery and over the years there have been some challenging conditions. had been significant snow. Fortunately it had warmed up considerably but it was still below zero and with wind chill significantly below that. The snow had stayed and indeed it was to snow through large portions of the race. driving but eventually we ended up at the race start in great time. subscribed. When I arrived I was waiting around when I was paged by the race organiser. I introduced myself and he told me the local press wanted to get an interview. for me and the interview and photos were complete. After a rousing RD briefing in which I again got a mention and a round of applause we huddled outside ready for the off. I have to say I was made feel very welcome and even during the race many people chatted to me all the way round. It was way more welcoming than any other race I have done in Europe by far. It was freezing at the start and it had started to snow. So quickly we were off. The race route wandered in and around the byways, parks, forests and villages around Coburg. It was very hilly at around 2000ft climb. 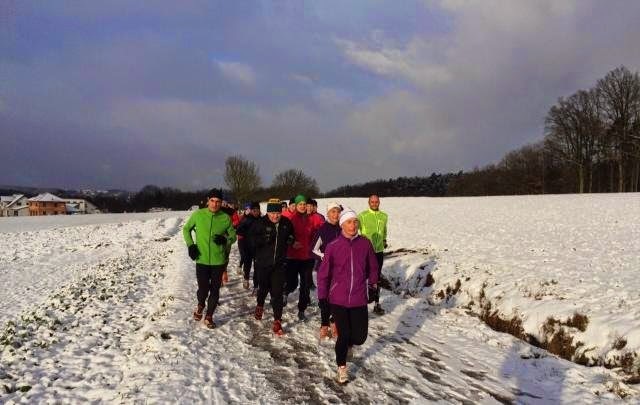 At times we were running through the quaintest of German villages that was soon followed by open tundra as well as winter wonderland vistas through snow covered forests. 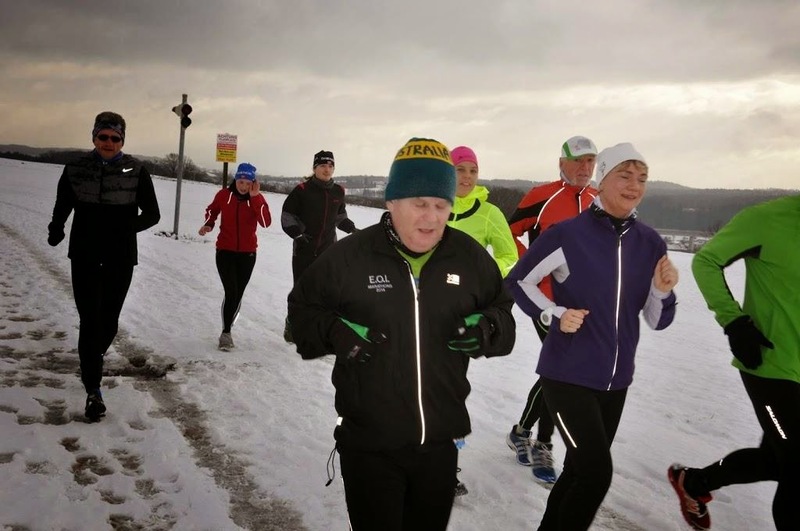 Conditions underfoot were snowy and icy as well as muddy in the sheltered areas. I believe conditions have been worse in the past but I cant imagine mush worse. I had at the last minute packed a pair of trail runners which turned out to be good and bad. Good in that they kept my feet fairly dry and gave good grip but bad in that they were new and needed breaking in. After only 5K I felt my toes rubbing on the right foot. By 10K the left foot had joined in. I knew if I stopped that would be it so I kept going. Fortunately the cold somewhat numbed the toes and it was just bearable. After the race and even as I write this they are not a pretty sight. The course itself was surprisingly hilly with one particular climb at around 20 miles that was huge and crested and overlooked Coburg. This was really for me a survival event making it between aid stops and was very slow. I think this was mainly because it was my 4th in the last 2 weeks and my feet were in bits from the new shoes. It was also freezing, wet, muddy and hilly. 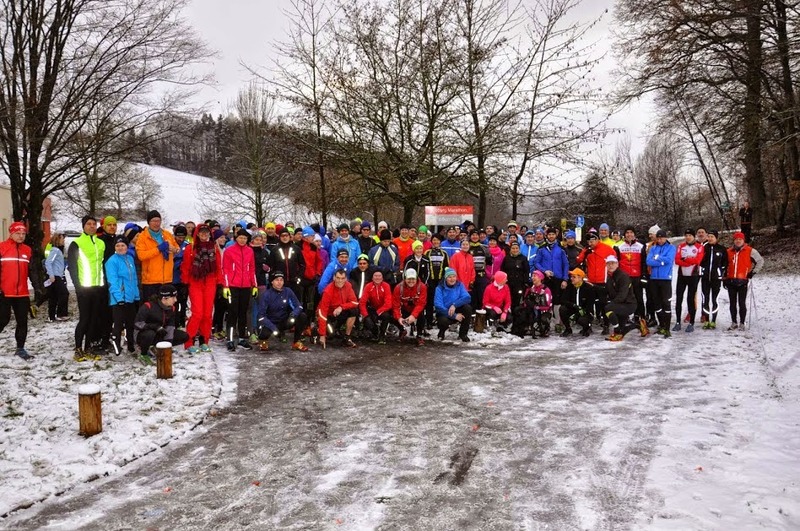 After finishing I had a coffee and a Bratwurst and got quickly into the car to warm up. By the time I got back to Erfurt I was back to normal and enjoyed a very nice night out in the town with our German hosts. It was a great experience. With free entry , reasonable flights and hotels it was also surprisingly affordable and I would strongly recommend it.